Understanding financial risk is not a natural human process. When I’m jogging and see a dog running at me or when I see a police officer in the rear view mirror my heart races with a hard wired ‘fight or flight’ reaction to a real physical risk. Perhaps it’s the abstractness of numbers on a page, but for reasons I don’t fully understand we don’t emotionally register financial risks that are far greater than a speeding ticket. He then adds, “The innovators I know are successful to the extent to which they define risks and confine them”. I’ve seen this with the successful real estate investors I know personally. They will look at a project and before they invest they will try to figure out how many different ways they could get out of the project without losing money. These ‘exit strategies’ define the deal. They truly see, understand, and mitigate the risk better than most. While we would see these as ‘high risk ventures’, if they’ve done as Drucker said – defined and confined the risk- they don’t see them as all that risky. A major point before we continue: This discussion has nothing to do with the upside or return. Greater return doesn’t mitigate risk. I strongly believe in the value of higher education, specifically my pastoral leader having a seminary education. This is value is unrelated to defining and confining the risks. This article also doesn’t address the cost risk of higher education. Generally I believe it to be a good value, but we are confining the scope of this conversation to just the risk of BORROWING to pay for that education. When it comes to student loan debt, how do we ‘define the risk’? First, we need to admit that when it comes to seeing risk, we’re lousy. Our brain doesn’t do a good job of predicting what we will have to give up in the future to pay for debt we’re accumulating now. Second, we need to understand the time-value of money. Control of money earned in the future is extremely valuable. In addition, compounding interest makes makes today’s dollars more expensive. Third, student loans offer very limited ‘exit strategies’. Unlike virtually every other type of debt, defaulting and bankruptcy are not options. Don’t Borrow at all. Boom, risk confined. Borrow Less. The risk of borrowed money can be confined by borrowing an amount that is easily repaid. I would look at this primarily as a percentage of future income. It’s not a perfect formula, but in general I recommend TOTAL accumulated student loan balances of less than your first year’s starting salary. Do I have other ways of paying beside my income? 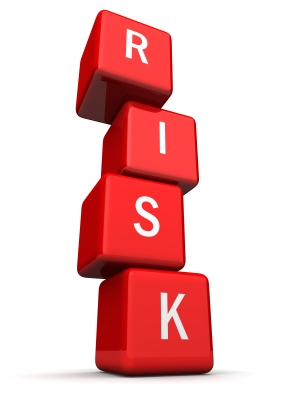 You can confine the risk if you have other options beside your future income to pay the debt. These might include family money, savings, spouse income, other assets (i.e. your home) that could be sold, or other income sources. I strongly recommend selling stuff and earning extra income. These are the cornerstones of debt reduction. Get done fast. An ‘extra’ year of income can dramatically reduce your debt load moving forward. Cut your expenses to zero. The more expenses you can eliminate, the lower you reduce your risk. I can’t recommend enough – living with another family, bike instead of owning a car, ‘beans and rice’, no subscriptions to anything (Spotify, etc. ), no eating out, limit your electronics purchases, etc. If anyone asks why you’re not going out, just tell them ‘risk mitigation’. Understanding and confining risk isn’t something that we’re good at doing, but it is a skill that can be learned. My hope is that this article is a first step in changing the way you see and limit financial risks – specifically those around student loan debt. *Drucker quote from Innovation and Entrepreneurship (p139) quoted in Killing Sacred Cows by Gunderson (p152).